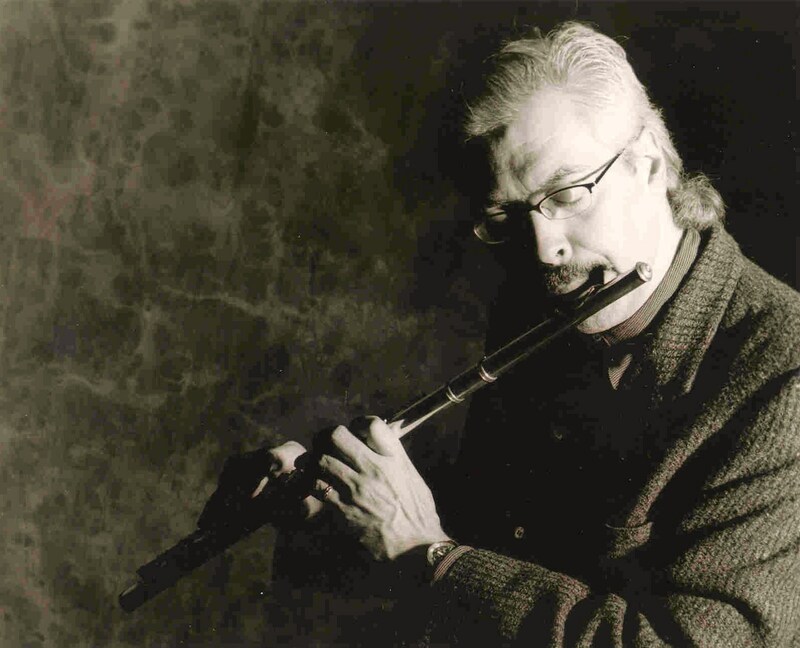 Although I have had extensive classical background, I have been working almost exclusively as a non-classical flute specialist for the past three decades. During that time, I have succeeded in modifying my technique so that it works effectively in jazz and Latin contexts. Accordingly, my technical approach will be of interest and relevance not only to doublers but also to classical flute players who want to cultivate a “non-classical” style. In addition, I have developed an improvisatory approach that has proven to be remarkably versatile in all of my non-classical playing contexts (which have ranged from flamenco to hip hop!) So, I can also provide useful insight and guidance into developing and improving your improvisatory skills. The best way to determine if what I have to offer is relevant to your own musical circumstances is to...listen to what I do...For this, you can go to the Bio & Music tab and listen to four full tracks (under COMPLETE AUDIO CLIPS, one from each of my latest acoustic duo/quartet/trio albums), which will illustrate my technical and improvisatory styles/approaches. (3) what technical and/or musical issues are giving you problems. Also, if you have any specific questions, then write them down beforehand so that we can be sure to address them. Once again, my rate is $60/hour...and, in setting the time and date for your first lesson, you can identify any applicable time-zone difference by clicking here. You can purchase CDs/MP3s at CDBaby and MP3s at iTunes. these releases at MySpace by simply clicking here. IMPROVING YOUR FLUTE SOUND WITH THE "HARMONIC ROLL"
John Coltrane is one of the most significant instrumentalists of the 20th century. Musicians of such calibre and depth occur rarely. Indeed, such extraordinary musicians come along only once every few generations. Coltrane has been a source of tremendous and continuing inspiration to me, even though I play a completely different instrument in a completely different manner and style. Now, you may be wondering (and quite understandably) why I am beginning this article talking about John Coltrane if the topic is about improving your flute sound. Well, in the course of listening to Coltrane, I heard him executing an unusual effect from time to time and the sound intrigued me. The effect is something of a Coltrane trademark and is a little difficult to describe. It can perhaps best be characterized as a "harmonic roll". Over time, I experimented on my flute trying to mimic this sound. Ultimately, I managed to approximate what I heard Coltrane doing. I determined the range over which it was feasible to execute this effect on the flute and also what seemed to be the best fingerings for doing so. What was curious about the process of my investigation is that, in the course of it, I found I was not only mimicking that Coltrane effect but I was also enhancing my sound at the same time, particularly in the third register. I am setting out the harmonic roll effect as an exercise below because it can be extremely helpful, not only to classical flute players, but also to flute players who double on other reeds and who have experienced the difficulty and frustration associated with launching into the third register and obtaining some measure of comfort and security in that register. I recommended that you be patient with yourself as you proceed with this exercise since many of the fingerings are "false" and, in addition, the results are not entirely uniform from note-to-note and tone-to-tone. However, with a little diligence, you will find that the exercise is really not that difficult. More importantly, you will find that the payoff in terms of your sound and control makes the exercise well worth the effort. The harmonic roll consists of playing the same note (or close to the same note) with three different fingerings, in rapid succession, in order to create a shimmering...or rolling harmonic...type of effect. Rhythmically, the pattern is simply a triplet figure. Start slowly with the metronome at about 72 per the half note and, as you become familiar with the fingerings, then you can increase the tempo. I myself never practice this exercise at more than 92 to the half note in order to ensure that I execute the fingerings as evenly as possible. However, in performance, I would typically execute it a LOT faster. All of the required fingerings are set out below. Please note that these fingerings are presented for notes commencing at "A" above the staff and they proceed chromatically upwards over the range of a minor seventh. Once you have mastered this exercise, you should experience a noticeable improvement in your sound and control, especially in the third register—but likely throughout the entire range of instrument as well. And for those of you who perform in improvisatory situations, you will now have a new and interesting effect at your disposal which can add a different texture to your playing, particularly in free situations (where "textures" rather than "notes" are important). In summary, the harmonic roll is not only an interesting device aurally, it is also a remarkably formative exercise for purposes of developing your sound and control on the instrument. Here are some essential points about improvising that I have learned over many years of practising and performing. They are generic in nature and, therefore, they are relevant, regardless of the idiom. First and foremost, LISTEN, and in addition, learn to imitate. Here are a handful of useful suggestions in this regard: (1) Lester Young (for swing); (2) Bud Powell (for bebop); (3) John Coltrane (for more “edgy” things); (4) Ray Charles (for soul); and (5) Louis Armstrong (for EVERYTHING!) Of course, when you are improvising, listen to the band and, of equal importance, listen—to yourself! Learn to recognize—and to use—Charleston figures (including forward, reverse and variations thereof) because this is a fundamental “rhythmic grid” that occurs everywhere and will often tie into the groove and/or whatever the rhythm section is doing. Practice all major and minor scales and arpeggios, in all keys, with utmost care and aim for absolute precision. Learn what each key area “feels” like so that you are not thinking about the key signature. Knowing what each key area FEELS like will enable you to play in any key area with ease, regardless of the key signature, because you will not be thinking about any of the notes or accidentals. Learn which scales (i.e., which modes) correspond to which chord types, and come to a clear understanding of how these various chord types function through the cycle of fourths, within the key. This is very important because the same chord can function differently in different harmonic situations (which may imply a different scale from the first one that comes to mind). Learn all of the modes and recognize that all harmony arises from these modes (because , ultimately, chords come from scales—NOT the other way around) . In addition, learn the pentatonic scale (in both its major and minor forms) in all keys and, in addition, its most important derivative—the blues scale. In brief, scales and at least some theory will ultimately help—not hinder—you, because a broad understanding of scales and theory will provide you with a broader range of musical choices and possibilities. Keep in mind that almost all of what you play will consist of either (1) scales, (2) arpeggios or (3) fragments thereof—and that's really about it. This means that trying to look for “new” and “undiscovered” intervallic relationships is not going to be very productive (and may actually prove unpleasant for your listener :-) So focus on simple and obvious note choices first—and learn to exploit these fully. Recognize that, ultimately, fragments of scales and arpeggios (with interesting shapes and contours) are much more effective than merely running entire scales and/or arpeggios, up-and-down, up-and-down. In addition, recognize that changes in the direction of a line will always catch attention and generate interest. Try to see the structure of a tune in “big chunks” by identifying major and minor II-V-I progressions (or fragments thereof) and the key areas associated with each of these chunks. Pay attention to (but don't become preoccupied with) any of the extensions, alterations and/or substitutions. Although these are relevant, they merely serve to colour and/or elaborate on the fundamental harmonic function—never to undermine or distort it. So make sure you have a firm grip on the major and minor cadences of the tune before anything else. Recognize also that II-V-I's may occur in full OR in fragments OR they may be overlapped and linked, thereby serving dual functions. By looking at changes in this way, you will begin to see things in a broader context and you won't have to think as hard—or as often—which will help you avoid the melodic short-sightedness and mental fatigue that inevitably arises by playing “from chord-to-chord”. This will also enable you to achieve a higher degree of continuity in your lines because, in the final analysis, melody is far more important than harmony! Lining up chord tones with downbeats will give your lines more coherence. Also, instead of learning all the bebop scales and what chords go with each one of them (and thereby running the risk of sounding “studied” in your approach), recognize that, in principle, only one extra note is required to reconcile the asymmetry of a 7-note scale with a binary pulse. So, simply reach for a chromatic tone that is close by. And never worry if you “miss” from time to time, because serendipitous dissonances can be a good thing. Rather than perceiving “misses” as “mistakes”, make use of these accidental dissonances and see them as a source of melodic possibilities you might not otherwise have thought of. Broadly speaking, aim for a few chord-tones as targets. Then, pick some non-chord-tones (i.e., extensions, alterations or substitutions) and aim for these as targets (but learn to resolve and/or to suspend non-chord-tone targets with care). Always improvise with motifs in mind. Motifs do NOT have to be earth-shattering in terms of complexity or originality. On the contrary. They can be very plain and simple. Also, you can enhance your lines simply by imitating yourself as you go along (because you really do NOT need to be constantly playing and “inventing” stuff). Shout figures and licks are good sources to explore for purposes of developing a facility with motifs. Work a few small fragments, carefully through every key, because this will increase your musical vocabulary, strengthen your technique and (believe it or not) enable you to develop your own style! And when improvising, rather than slavishly executing the shouts and licks you have practised, learn to “generalize” from the shape, and the contour, and the FEEL of them because, if you take care of the “small bits”, then the “big bits” will take care of themselves. In fact, “big bits” are just “small bits” that have been concatenated in a musically meaningful way! Of course, it is always useful to simply break things up with an element of surprise now and again. In order to do so, use your imagination and visualize something NON-musical; such as...a conversation (a “question-and-answer” is perfect! )...someone shadow boxing...dew dropping into a still pool of water...a beam of sunlight breaking through the clouds...a cry (of joy or pain! )...Morse code...a cat chasing a moth...ANYTHING!...And let that image be your sonic guide! Make sure that all short notes are REALLY short; and execute any embellishments with speed and absolute precision. If you do just these two things, then your lines will begin to “sparkle”. Articulate your lines clearly (...or perhaps not at all!...) Vary your vibrato (...or perhaps use none at all!...) In any event, modulate your shading and dynamics with “compresses and swells”, because every note does NOT have to be enunciated explicitly—nor should it be!—and each note should NOT be overladen with vibrato. Indeed, the power of merely suggesting notes (...if not outright silence...) can be far more potent than giving voice to every single note you have in mind. You might even imagine notes—and simply NOT play them—because this can help to generate some interesting contours and dynamics which will give your lines a different sense of shape and continuity. Finally, in terms of generating momentum, speed has its place. However, if you are going to play a flourish—or, indeed, anything fast—then make sure you can execute it with clarity and precision because, if you don't, then the effect you are seeking to create will be lost, on everyone!...And do NOT kid yourself into thinking, “Oh, an approximation will do.” It NEVER does! Indeed, an “approximation” will simply sound like you blew it (...because you did!...) The upshot is: If you don't have the technique or the control to pull something off, then don't do THAT! Do something ELSE—something simple—something groovy—or just leave some space!